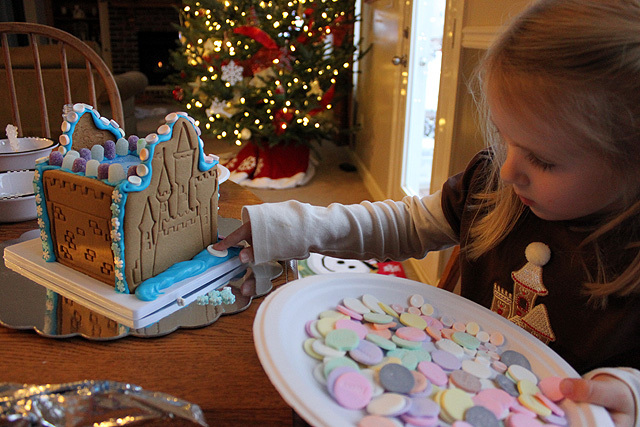 I’ll admit that I was not thrilled with the idea that my niece chose a prefab Cinderella castle kit from the store for our annual gingerbread session this year. She loves to bake and is now old enough to see the project through from scratch. 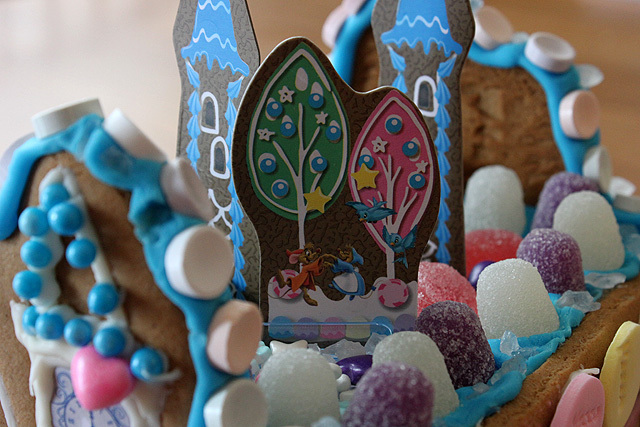 I was looking forward to designing our own charming chalet or creative candy cottage a la Hansel and Gretel. 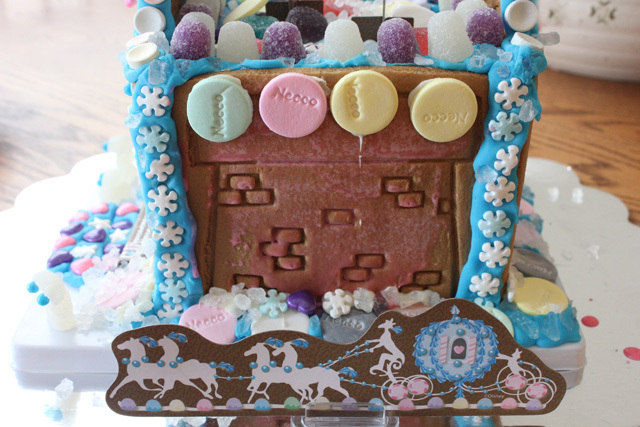 In the end, the gingerbread castle we put together from the kit still allowed for unique touches. 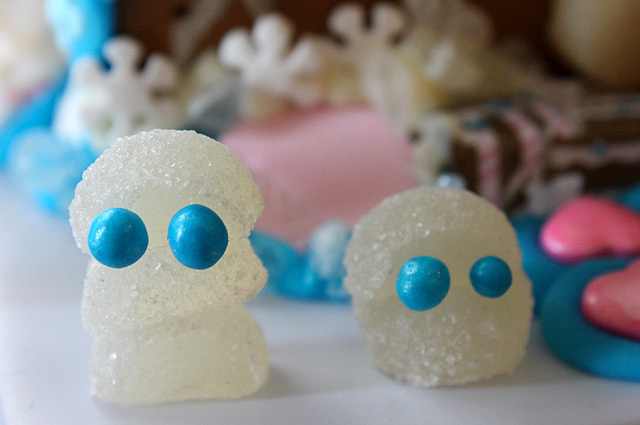 My favorite parts are the mice dancing on the roof and the alien-looking snowmen with the blue eyes (all from the brain of the sweet five-year-old). I need to remember that these activities are, above all, about togetherness and that the outcome will inevitably be as unique and fabulous as the individuals involved. looks great 🙂 nice pictures!